Existential is ready and out! Finally. Seventy-two hours of work, and this is the product. I’m very happy with myself, to say the least. As I expected, I was able to really really polish the game for release today. I made the enemy difficulty scale as they were spawned, and added experience as an extra incentive to kill them instead of running past. 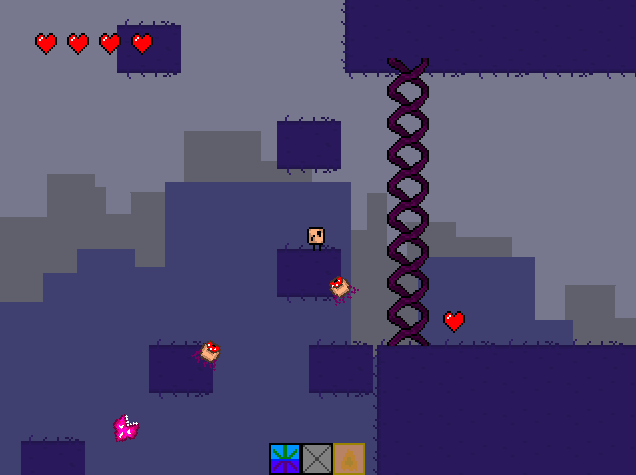 Also implemented elite enemies and added scattered stone blocks using Perlin Noise. Anyway, I’m not going to write a wall of text this time. Play the game here. Whew! That was a long weekend, but I did it. My game is posted, and I need sleep. I had to miss much of the first day for prior commitments, but I did my best to make up lost time on Sunday. I made this game (called Lumen, by the way) using Unity, which I had never really used mush before. It was a great learning experience. All-in-all, I thoroughly enjoyed Ludum Dare 31, and can’t wait for 32. Like prophesied I didn’t have the time to implement any gameplay. Having to work on a Monday tends to get in the way of creative expression and sleeping late for that matter. Nonetheless I did get some optimization done. While it still tends to slow down when zoomed out and in full swing, it’s an undeniable improvement. Try it out if you can muster the will to do so. As for the rest, take another Gif(t) from the Gods! 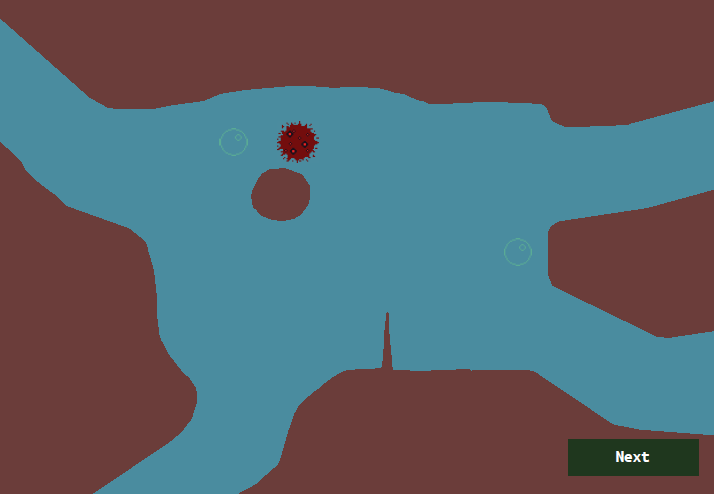 So I was like an hour or two short to add some actual levels other than tutorial. Thats’s a shame, but then I’m still glad I made something that works. Check it out, will you? Now I’m going to bed. Tomorrow will be better. DISPARATE all done and ready to rock! First Ludum Dare complete! WOOHOO! Still didn’t have the whole 48 hours for this but did the best with what I had. I did have a single player mode in but had to yank that out at the last minute. Welp, I barely made it in time, but it’s finished! Fixed a last few 3 bugs, and it’s up. Took hours, also it reached more than 200 slides again just like my previous game. 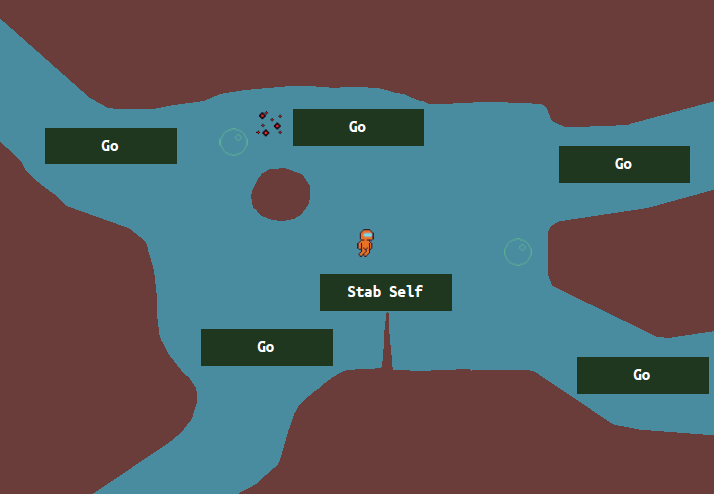 Also, I changed the main character from fish into a person wearing orange suit. The story still same that the person need to escape from the maze and reach the surface. My game (the one with the weird lighting) is finally done! 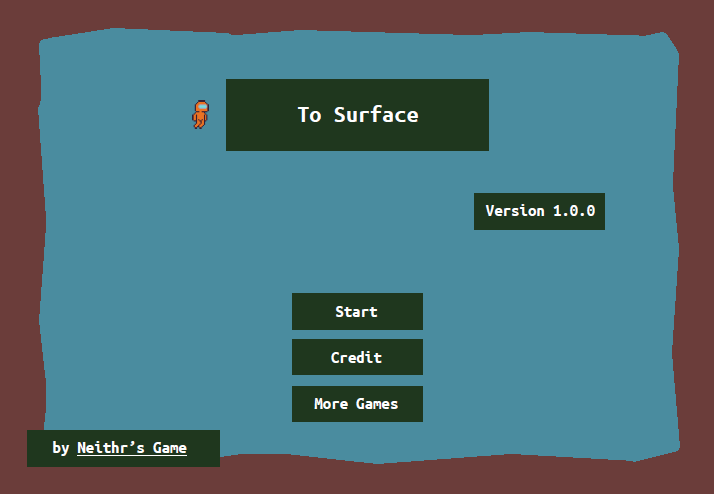 You can download it for Windows here: http://www.ludumdare.com/compo/ludum-dare-28/?action=preview&uid=31403. My head hurts too much right now to write a post-mortem (plus it’s probably too soon anyway), so have a gif instead. And congrats to everyone who’s participated in this LD, we’ve finally gotten to the end! I started really late, so I had just about 12 hourse all in all. Not ideal for my first ludum dare contest, but still fun! The game is not nearly as polished as I would have liked it to be, mainly the bots are not as intelligent, there is only one of 5 planned challenge types and the visuals are still placeholders but at least everything seems to work alright! The game connects you to an online chatroom where you have to try not to get banned. In the original version I planned that there would be a score of human players and one bot where the human players have to find out which one of them is the bot as fast as possible. I had to change that though as it was unlikely that I would get more than one or two human players at a time. Now it’s just a chat populated with bots and you have to try to stay in as long as possible. Not really fun and definitely not finished but it was all I could do in 12 hours.